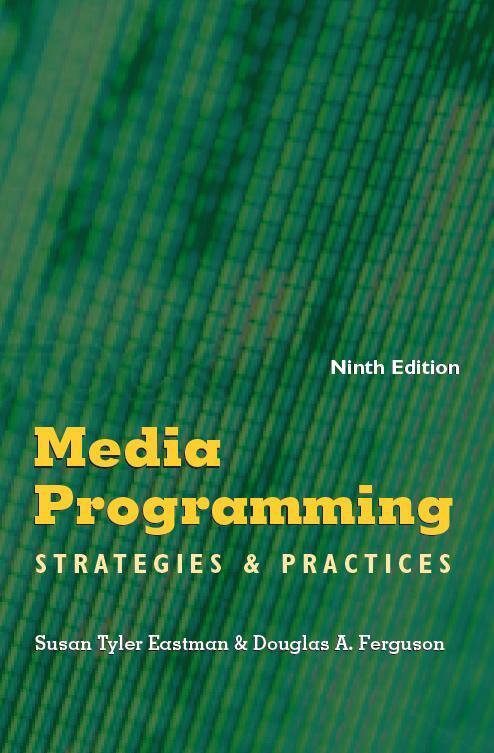 Welcome to the homepage for the 9th edition of Media Programming by Susan Tyler Eastman and Douglas A. Ferguson (Thomson Wadsworth, 2013). Updates are on Facebook and Twitter!! The links below will point you to the most recent updates about the textbook. Wadsworth maintains its own support site, but you might find more Updates using our newer Facebook links (or bookmarks). If you find any broken links, please let us know via email to fergusond@cofc.edu -- thanks! We highly recommend that instructors and students join the Cynopsis e-mail list to receive daily news about the TV industry, including overnight ratings, news about people and technology, and schedule updates. Go to http://www.cynopsis.com for your FREE subscription! Part I: INTRODUCTION TO PROGRAMMING. Nothing yet. Please send any mistakes you find to me at fergusond@cofc.edu -- thanks! See Facebook or Twitter links, or try these shared bookmarks. Alas, some older bookmarks may not work because B&C and Multichannel News have erected pay walls. A great searchable site is Broadcasting & Cable magazine. See Facebook or Twitter links, or try these shared bookmarks. Alas, some older bookmarks may not work because B&C and Multichannel News have erected paywalls. We recommend Bill Carter's book Desperate Networks (2006). Normally we do not review books, but this one is fantastic, containing back stories of all the new shows of the previous 5 years. It's the best behind-the-scenes book on networks since the old Three Blind Mice. The book (Television Disrupted) is must-reading for anyone interested in the future of broadband TV. Shelly Palmer is the author; this book is fascinating reading, even if it occasionally makes unsupported claims. Learn more at www.televisiondisrupted.com -- you need to buy a copy! Or get it on interlibrary loan, as I did. Read more about startups worth watching and the evolution of Web 2.0 at TechCrunch. According to Nielsen, the number of TV homes in the United States for 2018 is 119.9 million, meaning the percentage of total U.S. homes with televisions receiving traditional TV signals via broadcast, cable, DBS or Telco, or via a broadband Internet connection connected to a TV set is currently at 95.9 percent, still below the 98.9 percent penetration in 2011. 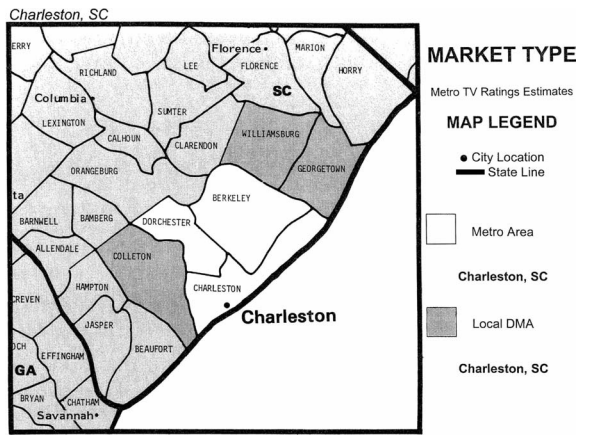 Subchannels are how local stations provide extra channels over the same broadcast frequency. Here is a great link for tracking these channels.